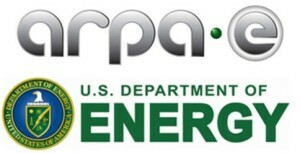 ARPA-E awards $125 million: The U.S. Dept. of Energy announced the awarding of $125 million for innovative energy technologies by the Advanced Research Projects Agency-Energy (ARPA-E). The 41 projects include advanced vehicle technologies and alternative fuels, including: Achates Power, Inc. of San Diego, Calif., winning $9,002,986 to develop a multi-cylinder opposed piston engine operating with compression ignition; the University of Michigan in Ann Arbor will develop a high-efficiency engine system that integrates a compact micro-hybrid configuration of a supercharger with an electric waste heat recovery system and employs high rates of recirculated exhaust gases, which was granted $1,923,845; another University of Michigan project was granted $3,500,000 for electrode structures and manufacturing techniques to incorporate lithium-conducting ceramic electrolytes into solid-state batteries; researchers at Corning Incorporated in Corning, N.Y., won $3,102,359 and will develop roll-to-roll manufacturing techniques to produce thin ceramic electrolytes for solid-state batteries for higher energy density than conventional lithium-ion batteries. Read more about other transportation and energy grants made in the ARPA-E announcement. Geely and Cadillac take on China mandates: Chinese automaker Geely Automobile Holdings has committed to meeting “new energy” vehicle government mandates more than any other domestic OEM; during the next five years, more than 90% of its new models will come equipped with alternative-energy powertrains. About two-thirds of Geely’s new-energy vehicle models will be conventional gasoline-electric hybrids and plug-in hybrids by 2020, with the remaining new-energy vehicles being battery-electric vehicles. Geely, which has been developing vehicles with Volvo Cars, also said it aims to make “substantial progress” on fuel cell vehicles by 2020. Cadillac will be rolling out plug-in hybrid versions of most of its vehicles in coming years to meet China’s tightening regulations, according to Cadillac president Johan de Nysschen. Adding a battery electric luxury car to compete directly with Tesla isn’t in the brand’s business plan, he said. There are plenty of other models meeting U.S. fuel economy and emissions regulations, including the Chevy Volt and fuel efficient cars, he said. GM & Daimler committed to diesel: The Volkswagen diesel reporting scandal isn’t pushing General Motors or Daimler out of diesel-engine vehicles. GM product chief Mark Reuss thinks that diesel demand among truck buyers won’t be affected by the fallout from the VW scandal, and that its diesel-powered Chevrolet Cruze will be doing well. GM has begun production of diesel-equipped Chevy Colorado and GMC Canyon midsize pickups. These pickups will join the V-8 Duramax diesel engines on its heavy-duty full-size pickups. Next year, GM will roll out a 1.6L diesel in the next-generation Cruze; the automaker will roll out at least one more diesel car, but hasn’t yet released details on it. Daimler’s commercial truck operation will invest $375 million at a complex near Detroit to build diesel engines for medium-duty trucks, expanding a strategy of building and selling trucks, engines, transmissions and axles as a package. It’s not competing directly with VW light-duty passenger cars, but the commitment to diesel technology is still significant during this time. In other VW news, U.S. Dept. of Justice investigators are investigating German auto supplier Robert Bosch GmbH for its role in VW’s scheme to cheat U.S. emission standards. Bosch built key components in the diesel engine used in six Volkswagen models and one Audi model that the automaker has admitted to rigging to defeat emissions tests. Tesla researches German battery factory: Tesla Motors has been in discussions with the German government over the prospect of building a battery factory in the country. Tesla may seek financial backing from the government. This may be targeted at Tesla’s competition in the luxury electric vehicle space with German automaker BMW and would support the opening of Tesla’s Gigafactory in Nevada. Tesla wouldn’t make comments to the media on a German battery factory, saying that there are “no current plans to build a battery factory in Germany.” Tesla did announce that it will recall the entire Model S fleet to deal with a potential seat belt defect. That will mean brining in 90,000 of these cars for inspection by Tesla. The recall came from the discovery in Europe two weeks ago of a single Tesla Model S with a “front seat belt that was not properly connected to the outboard lap pretensioner,” Tesla told its customers by email. Green truck awards: The Ford F-150 pickup has been named the Green Truck of the Year, and the Ram ProMaster City has won the Commercial Green Car of the Year. While the 2016 Chevrolet Volt won Green Car of the Year at the LA Auto Show (see article that follows), the truck awards were announced at the San Antonio Auto & Truck Show. Volvo and Microsoft going for autonomous vehicles: Volvo’s partnership with Microsoft will also extend to autonomous driving and other advanced automotive tech. The automaker announced it will work with Microsoft yet-to-be-released HoloLens augmented reality device. Volvo will also be working on autonomous driving technologies as well with Microsoft, and plants to use the enormous amount of data generated from connected cars to create other new services. Green Truck Summit expanding: The Green Truck Summit, held annually in conjunction with The Work Truck Show, features a more comprehensive educational program for 2016. The event includes a full day of in-depth general sessions on innovations for vocational trucks on March 1. Attendees can also choose from more than 30 Green Truck Summit and Work Truck Show concurrent sessions covering a range of topics March 2-3. Produced by NTEA, the Summit takes place at the Indiana Convention Center in Indianapolis. Google Express expands in delivery business: Google has joined up with Amazon in the product delivery space by expanding its Google Express service into Southern California. Just in time for holiday shopping, Google Express is offering next-day service for shoppers in Los Angeles, San Diego, Orange County, and the Inland Empire. Google Express is already been in place in Northern California and West Los Angeles, along with Manhattan, Boston, Chicago, Washington, and in several states in the Midwest. Participating retails merchants include Costco, Target, Kohl’s, and Walgreens. Soon after the Google Express announcement, Amazon said that it’s expanding its same-day Prime Now delivery service in the San Diego area. Amazon now offers free same-day delivery options in 24 metropolitan areas — including Los Angeles and San Diego. Renewable diesel takes off at Propel stations: Consumer adoption of Propel Fuel’s Diesel HPR (High Performance Renewable) fuel has shot up 300% since its introduction in Southern California in August 2015, the company said; that’s compared to its former biodiesel product (B20). Diesel HPR is a low-carbon fuel that meets the ASTM D-976 petroleum diesel specifications for use in diesel engines while offering drivers better performance and lower emissions. 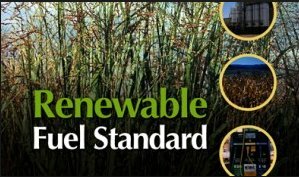 A California Air Resources Board study shows that renewable diesel can reach up to 70% greenhouse gas reduction compared to petroleum diesel. Lightning Hybrids wins NREL award: Lightning Hybrids received the “Best Venture” award for its hydraulic hybrid system at the Industry Growth Forum held last week in Denver, which was hosted by the Energy Department’s National Renewable Energy Laboratory (NREL). The hydraulic hybrid system for medium and heavy duty vehicles has strong global market opportunities and provides benefits to a large and diverse group of stakeholders by providing fleets with a way to run cleaner and more efficient vehicles, the company said. The award named 30 emerging cleantech industry company finalists from a field of 115 to present their technologies and business models to a panel of knowledgeable investor judges. The Honda Clarity Fuel Cell had its North American debut at the LA Auto Show with more details released on the hydrogen fuel cell vehicle’s gains in interior space, efficiency, and performance. The Clarity Fuel Cell has a fuel cell stack that is 33% more compact than its predecessor with a 60% increase in power density compared to the outgoing Honda FCX Clarity. Honda says that the arrival time for the Clarity Fuel Cell will be in late 2016 for the U.S. market. Honda also announced that the platform used in the Clarity Fuel Cell will also serve as the foundation for a next-generation Honda plug-in hybrid electric vehicle that will launch nationwide by 2018, with more than triple the all-electric range of the Accord Plug-In Hybrid Sedan. 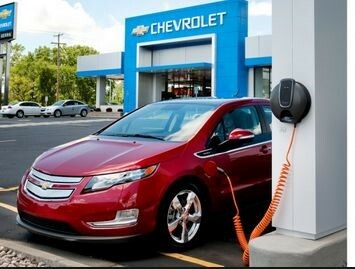 The completely redesigned 2016 Chevrolet Volt has been named Green Car of the Year, repeating a victory it claimed when the original plug-in hybrid debuted five years ago. The revamped 2016 Volt has been built on a new, lighter chassis, utilizing a smaller but more powerful battery pack that allows it to now squeeze in five passengers, and increases range to 53 miles per charge. The four 2016 model year finalists were: Toyota Prius which has a new body style and a fuel economy increase of about 10%; Honda Civic, which was also redesigned for 2016; Hyundai Sonata with its high-mileage gasoline engine as well as both a plug-in and a standard hybrid option; and Audi A3 Sportback e-tron, the automaker’s first U.S. plug-in hybrid model. The Volt was available for the ride and drive, along with the Toyota Mirai fuel cell car. Those visiting the Toyota exhibit inside the hall could look under the Mirai’s hood; they could also watch a video playing tribute to the anniversary of the “Back to the Future” movie trilogy. Toyota participated in the 30th anniversary of the first film in the series with a commemorative video with the film’s stars, Michael J. Fox and Christopher Lloyd. It also served as a kickoff for the U.S. debut of the 2016 Toyota Mirai hydrogen fuel-cell vehicle. Toyota says that about 2,000 people have already placed orders for a Mirai, which is now on sale in select California markets. Toyota anticipates that it will fulfill about half of those orders for the 2016 model year. Located in Gilbert Lindsay Plaza right outside the convention center, the Green & Advanced Technology Ride & Drive also made available the Chevrolet Impala Bi-Fuel; Fiat 500e; Ford Focus 1.0-Liter EcoBoost; Ford Focus Electric; a Harman International test model with connected car features; Hyundai Tucson Fuel Cell; and Nissan Leaf. 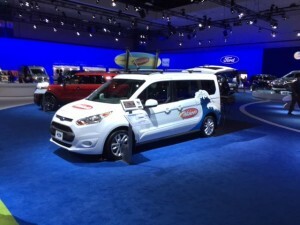 The Ford Transit Connect urban delivery van was prominent in the Ford Motor Co. exhibit space. As seen in the photo, one of the vans shown in the Ford display was a fleet vehicle used by Wahoo’s Fish Taco for catering. The most visible vehicle at the Ford exhibit was the refreshed 2017 Ford Escape that will go on sale next summer. Ford will put about 275,000 of these new vehicles on the road with start-stop technology, making it Ford’s biggest push into the fuel-saving technology to date. Those attending LA Auto Show were able to view the debut of the production version of 3-wheel gasoline-engine car from Elio Motors. The car is small and light enough to get 84 mpg and will cost $6,800. The company plans to launch production at an old General Motors plant in Shreveport, La., by the fourth quarter of 2016. Elio Motors is still looking for more financial backers to get the car ramped up for production and out for sale. The Volvo Concept 26 is still years out, but gained attention during the auto show. It will be equipped with features such as a tablet computer built into the center console, a fold-away tray table, and a 25-inch color monitor that pops out of the passenger-side dashboard. The Concept 26 shares the same new Scalable Product Architecture used for most of Volvo’s future products, including its new XC90 SUV. Volvo says that the concept car had “26” added to its name as a reference to the fact that drivers average 26 minutes a day stuck in traffic-snarled cities like Los Angeles, which adds up to 100s of hours each year. Here’s my take on the eight most significant and interesting occurrences during the past week……. EPA testing: The U.S. Environmental Protection Agency will be expanding on-roads emissions tests for all diesel vehicles. The EPA practice had been to test only a handful of new vehicle each year to confirm laboratory results. Its first tests have recently included diesel vehicles from other Volkswagen Group brands, which found that about 10,000 VW, Audi, and Porsche vehicles using a 3.0-liter diesel V-6 also had illegal software. European regulators also plan to add on-road testing, although for somewhat different purposes than their U.S. counterparts. Hyundai plug-in hybrid: The 2016 Sonata Plug-in Hybrid is the first plug-in hybrid electric vehicle launched by Hyundai and comes with a 27 mile All-Electric Range (AER). “The flexibility of this alternative powertrain delivers efficient hybrid operation and eliminates any concerns for range anxiety, while providing an impressive total driving range capable of 600 miles,” said Mike O’Brien, vice president, corporate and product planning, Hyundai Motor America. The Sonata Plug-in Hybrid’s 9.8 kWh lithium polymer battery system helps deliver 99 MPGe. Best mpg pickup: The 2016 Chevrolet Colorado two-wheel drive with the Duramax turbo-diesel is the most fuel-efficient pickup in the U.S. with an Environmental Protection Agency-estimated 31 mpg highway fuel economy. The EPA-estimated highway fuel economy for 2016 Colorado four-wheel drive diesel is 29 mpg. With the Colorado’s 21-gallon fuel tank, the 2WD model offers an estimated maximum highway range of 651 miles per tank. EcoBoost benchmark: Ford launched its EcoBoost fuel-efficient engines in 2007 and is getting close to selling one million vehicles with these downsized, gasoline turbocharged, direct-injected (GTDI) engines. Currently every Lincoln-brand vehicle and every Ford from the Fiesta through the F-150 has at least one EcoBoost engine available as either standard equipment or an option. EcoBoost has been part of Ford hitting its fuel economy targets along with hybrid and plug-in vehicles. Fuel cell alliances: Audi may be getting into the hydrogen fuel cell vehicle business, and has acquired a number of patents on fuel cell technology from Canadian company Ballard Power Systems, a developer of fuel cells. Ballard has an agreement with Audi, with the two working together through 2019. Ballard thinks that the patents will help Audi develop a fuel cell vehicle that will be ready for the commercial market at some point in the future. In another alliance, 3M will support Plug Power’s expansion into hydrogen-enabled electric vehicle applications outside of the material handling market. 3M will supply Plug Power with membrane electrode assemblies to be used in Plug Power designed proton exchange membrane fuel cell stacks under a new strategic supply agreement. Recycled seat material: Carol Kordich, Ford lead designer, global sustainability materials strategy development, accepted the Society of Plastics Engineers’ Automotive Innovation Award in the Environmental category. Kordich was recognized for her work to replace traditional seat fabric with one made of 100% recycled material. Kordich’s effort helps to divert more than 11 million water bottles from landfills annually. 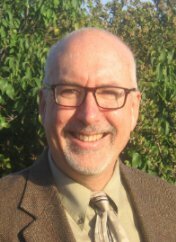 Port of LA SCIG court hearings: On Nov. 16-17, California Superior Court Judge Barry Goode will listen to attorneys representing environmental organizations, community members, and regulatory agencies. Several parties have filed suit and will be heard by the court over two days over the planned Southern California International Gateway (SCIG) railyard. This plan was first announced in 2005 for a train path adjacent to West Long Beach. The Port of Los Angeles and Burlington Northern Santa Fe have committed to allow the Port to handle more cargo and reduce air pollution. Those filing suit have said that the SCIG will make air pollution worse, especially for the low-income, disadvantaged communities. Ford begins Mcity testing: Ford will become the first automaker to test out the 32-acre Mcity facility at the University of Michigan. Ford has been testing autonomous vehicle technologies for more than 10 years, and will expand testing of its Fusion Hybrid Autonomous Research vehicle. The research project combines driver-assist technologies, such as front-facing cameras, radar and ultrasonic sensors, with four LiDAR sensors to produce a real-time 3D map of the vehicle’s surrounding environment. VW recall list expands: The U.S. Environmental Protection Agency has expanded the list of 3.0-liter TDI diesel engines that have illegal emissions software – this time adding several Audi models, one Porsche diesel model, and another VW. VW’s corporate headquarters has been fighting the new EPA decision, but has issued a stop-sale order to its dealers on the newly named models. The latest list includes: Audi A6 TDI: 2014-2016; Audi A7 TDI: 2014-2016; Audi A8 TDI: 2014-2016; Audi Q5 TDI: 2014-2016; Audi Q7 TDI: 2013-2016; Porsche Cayenne Diesel: 2014-2016; and Volkswagen Touareg TDI: 2013-2016. These include both new and certified pre-owned versions of these cars. In other news, several Volkswagen engineers have admitted manipulating carbon dioxide emissions data because goals set by former CEO Martin Winterkorn were difficult to achieve, a German media outlet reported. 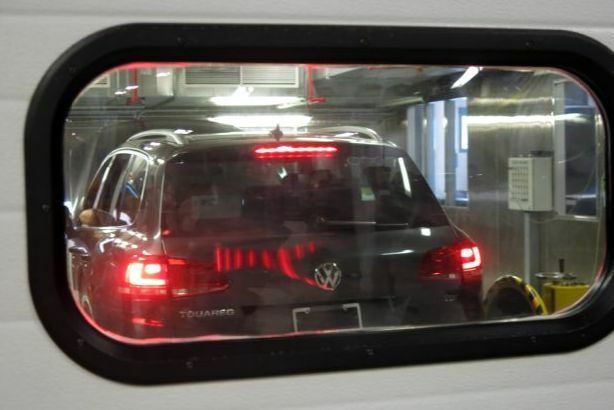 And to appease VW owners, Volkswagen of America will offer $500 to owners of 2.0-liter diesel vehicles with illegal emissions test-rigging software. First Chrysler hybrid: A hybrid version of the redesigned Chrysler Town & Country will be part of the minivan’s launch at the Detroit Auto Show. It will be the first step in converting “most of the fleet,” adding a hybrid version throughout the Fiat Chrysler Automobiles vehicle lineup in the 2020-to-2025 time frame, FCA CEO Sergio Marchionne said during a conference call. It will be motivated by meeting federal Corporate Average Fuel Economy (CAFE) standards of reaching a fleet average of 54.5 mpg (equivalent to about 42 mpg on the window sticker) by 2025. It may also have something to do with FCA backing off adding new diesel models to its lineup in the wake of the VW emissions scandal. For several years, Chrysler had been experimenting with plug-in hybrid test models; it wouldn’t be surprising to learn that some of the news hybrid models will also have plug-in versions. Tesla 3Q report: Tesla Motors reported total revenue of $937 million – above Wall Street expectations, but a drop from second-quarter revenue of $955 million and a rise from third-quarter revenue of $852 million during 2014. The company reported a loss of $230 million, or $1.78 per share. Stock closed at $208.35 but surged to as high as $231 per share in after-market action. 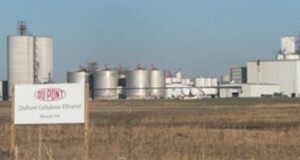 Tesla had $392 million in capital outlay, largely the result of factory expansion to accommodate the new Model X production line in Fremont, Calif., and investment in its Gigafactory battery factory near Sparks, Nev. The company also reported $39 million in sales of government-awarded zero-emissions vehicle credits, and $33 million in sales of pre-owned cars. The company expects to manufacture “several hundred” of its Model X SUVs by the end of the year. Faraday sets up shop: A luxury electric carmaker has come to California, setting up a corporate office with 400 employees. Housed in Nissan’s former U.S. sales office in Gardena, Calif., Faraday is planning on launching its first electric vehicle in 2017 and is looking for factory locations in California, Georgia, Louisiana, and Nevada. Incorporation papers filed with the California secretary of state’s office links Faraday to a Chinese media company operated by Jia Yueting, an entrepreneur who founded Leshi Internet Information & Technology. Jia may have net worth of $7 billion; he recently launched a line of smartphones and took a 70% investment stake in Yidao Yongche, an Uber-like car service in China. Jia has made comments that he plans on developing a car that could compete with Tesla Motors. Faraday may be investing $1 billion in its manufacturing facility. Chaoying Deng, a woman who runs a Leshi affiliate in the U.S., is listed in the filing as Faraday’s chief executive. Nick Sampson, who headed vehicle and chassis engineering for the Tesla Model S sport sedan, is now serving as senior vice president at Faraday. Richard Kim is head of design, and had provided those services to BMW, Porsche, and Audi. Toyota’s artificial intelligence arm: Toyota Motor Corp. will be investing about $1 billion in a U.S.-based r&d company, Toyota Research Institute Inc., to develop artificial intelligence technologies for future vehicles. Gill Pratt, Toyota’s technical adviser and a former Pentagon robotics expert, will be the CEO of the new enterprise. TRI will be based in Silicon Valley near Stanford University, and the office will open in January. Another office will be set up near the Massachusetts Institute of Technology in Cambridge. Projects will include systems that prevent traffic accidents and makes driving accessible to more people; including cars that can help handicapped people or the elderly stay behind the wheel; and another objective will be at-home technologies such as helper robots. Bob Lutz predicts doom for Tesla: Ex-GM vice chairman and Via Motors chairman of the board Bob Lutz doesn’t think Tesla Motors will make it. “Tesla’s showing all the signs of a company in trouble: bleeding cash, securitized assets, and mounting inventory. It’s the trifecta of doom for any automaker, and anyone paying attention probably saw this coming a mile away,” he wrote in a Road and Track guest commentary. One big problem is the real cost of a retail store with its service bays, chargers, and well-trained staff. A dealership location takes a lot of cash flow, he says. Installing hydrogen stations: For anyone building hydrogen fueling stations in California or other states, check out the GO-Biz Hydrogen Permitting Station Guidebook. Aimed at station developers, permitting officials and Authorities Having Jurisdiction (AHJs), the guidebook provides insights and lessons captured from the past two years of hydrogen station development in California. The Guidebook provides a detailed discussion of the permitting process and suggested best practices for local and regional governments and station developers seeking to open (or in the process of opening) a hydrogen fueling station. Autonomous vehicles on roads: Tesla CEO Elon Musk seems to agree with a study last year by Institute of Electrical and Electronics Engineers (IEEE) predicting that fully autonomous vehicles will be on U.S. roads between 2030 and 2035. During a conference call, Musk said that vehicles that can’t switch into autonomous mode will be seen as having “negative value.” He predicts that within 15 to 20 years, it will be “quite unusual to see cars that don’t have full autonomy.” Nissan CEO Carlos Ghosn seems to understand why Tesla is investing in Autopilot so early in the game. Last week at the Tokyo Motor Show, Ghosn introduced Nissan’s IDS (Intelligent Drive System) concept car with its autonomous vehicle mode and long-range battery drive system. Steve Jobs and an Apple car: Back in 2008, Apple co-founder Steve Jobs had conversations with Apple senior VP Tony Fadell about launching an iCar. In the time frame soon after the iPhone launch, Jobs was interested in talking about why type of car they would build, what would be placed on the dashboard, and how it would be fueled or powered. 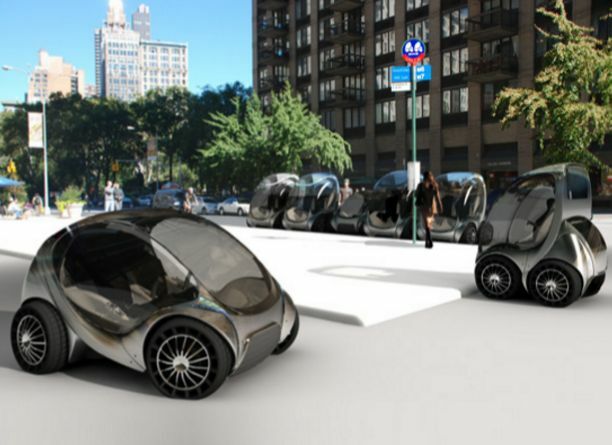 In an interview with Bloomberg, Fadell talked about how the two collaborators on the iPod and iPhone swapped ideas about car designs – long before Apple began investing in the potential of designing autonomous electric vehicles. The crash of the auto industry the next year got their attention on other priorities. Keystone pipeline: As expected, President Obama has rejected the request from Canadian company TransCanada to build the Keystone XL oil pipeline. “America is now a global leader when it comes to taking serious action to fight climate change,” Obama said at the White House. “And, frankly, approving this project would have undercut that global leadership.” This decision ends a seven-year review that had become a battleground in Washington. Car shoppers are weighing the pros and cons of buying their first-ever or next-generation acquisition of clean technologies in new vehicles. Gasoline prices staying down and the 2016 model year launch of refreshed models are influencing purchase decisions. Hybrids are down 15.7% year-to-date compared to the first nine months of 2014; sales are down 5% from September and declined 1.3% from October 2014. Gasoline prices are staying down, and are expected to do so into at least the first months of 2016. With more cost-competitive, highly rated small cars and crossovers, the competition is steep. The Toyota Prius hybrid models made up nearly half of October hybrid sales, and Toyota and Lexus models made up six of the top 10. On the plug-in electric vehicle side, the Tesla Model S continues to lead in sales. The revised 2016 Chevy Volt is starting to roll out slowly to dealerships, and is getting a turnaround on soft sales – coming in at 2,035 compared to 2,100 for the Model S and 1,238 for the Nissan Leaf. Consumers seem to be waiting longer for the new Leaf. The Volt closely trails the Leaf in total U.S. sales to date since the initial launch in late 2010, with 84,656 delivered and the Leaf at 87,190. The Leaf is about 3,500 units sold ahead of the Volt year-to-date in 2015. Fueleconomy.gov just released its 2016 EPA mileage ratings. The BMW i3 led the list in estimated mileage (MPGe) with 117 combined MPGe for the BMW i3 REX (range extender) plug-in hybrid and 124 combined MPGe for the BMW i3 battery electric model. The Volt came in at #2 on the plug-in hybrid ranking with 106 combined MPGe for the 2016 model; and the Chevrolet Spark EV finished at #2 on the battery electric chart with 119 combined MPGe. At 986 total sales in October, the BMW i3 has held a steady position in the top five this year. The Ford Fusion and C-Max continue to hold a steady pace mid-way on the sales list this year for the Fusion Hybrid and Fusion Energi plug-in hybrid; and the C-Max Hybrid and C-Max Energi plug-in hybrid. The first wave of the Volkswagen TDI diesel emissions scandal has hurt sales on the VW models named on the list; and that list looks to be expanding with a new EPA report (which is being fought by VW). The Ram Pickup continues to dominate the list of diesel passenger vehicle sales, which was in the works long before the VW scandal. That truck has had a strong share of diesel sales for several years, and hasn’t been dragged into allegations of misreporting its emissions. At 48,789 pickups sold this year, it far outpaces No. 2 on the list for October – Audi Q7 diesel, which has sold 3,579 units in the U.S. this year. This Week’s Top 10: Highlights from Tokyo Motor Show, How are you shopping for cars? Highlights from Tokyo: Fuel-cell cars took the lead in green car debuts at the 2015 Tokyo Motor Show; electric cars, hybrids, and autonomous driving were also central at this year’s event. 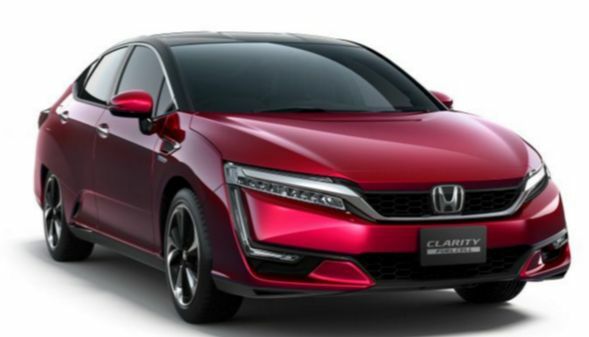 Honda has launched its first production version of a hydrogen fuel cell vehicle; the Clarity Fuel Cell (replacing the FCX Clarity model name). It will go on sale in Japan in early 2016, and will be brought to the U.S. later. The Lexus LF-FC concept car is a large hydrogen fuel-cell luxury sedan that may preview the next-generation Lexus LS. The Mercedes-Benz Vision Tokyo concept has self-driving capabilities and a bulbous shape. The Mitsubishi concept battery electric eX has a 45 kWh lithium-ion battery pack. The Nissan IDS Concept electric car includes a wireless inductive charging feature. The IDS Concept may be setting the look for the next-generation Nissan Leaf, which is likely coming out in the 2018 model year; and it may come with a 60-kWh battery pack. The second Nissan concept car introduced at the show was the Teatro for Dayz mini-electric car. The Subaru Viziv Future has a turbocharged internal-combustion engine to power the front wheels, and an electric motor to power the rear wheels; it may someday be available as a hybrid crossover. Sharing your perspectives on vehicle purchasing: Consulting company BKi is conducting a study about how people shop for new vehicles. If you bought or leased a new passenger vehicle for personal, business or fleet use, please complete this short, confidential survey. BKi focuses on energy, economics, and the environment. Clients include U.S. Environmental Protection Agency, U.S. Dept. of Energy, California Air Resources Board, California Energy Commission, Mercedes-Benz USA, Toyota, Oak Ridge National Laboratory, and H2USA. Click here to take this brief survey. The latest on Volkswagen: The recall list is getting longer. 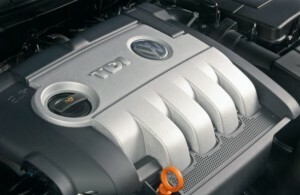 The U.S. Environmental Protection Agency yesterday issued a new Notice of Violation to Volkswagen, Audi and Porsche saying that the 2014 VW Touareg, 2015 Porsche Cayenne, and 2016 Audi A6 Quattro, A7 Quattro, A8, A8L and Q5 crossover with 3.0-liter diesel engines contained the illegal software. This covers about 10,000 vehicles from the 2014 and 2015 model years, and an unknown number of 2016 model year vehicles are involved.…….. A panel of federal judges will meet in early December to decide on a single venue to handle the expected a wave of class-action lawsuits. So far, more than 300 lawsuits have been filed against VW following breaking news that the automaker cheated on diesel emissions tests. Honda Clarity launch details, and BMW announcement: The Honda Clarity Fuel Cell hydrogen-powered car will go on sale in Japan and the U.S. next spring. In the U.S., sales will start in California where a network of hydrogen fueling stations have been constructed. Driving range estimates have varied from over 300 miles on a tank of fuel to 435 miles. Its price is expected to start at $63,000, and the marketing campaign is expected to tell how its driving range and interior space are more than what Toyota is offering in its Mirai fuel cell car. Honda is also looking into a program offering a portable hydrogen station. BMW AG said last week that its first fuel-cell vehicle would likely be a larger-sized sedan which would go on the market after 2020. That’s right after BMW’s hydrogen R&D partnership with Toyota will end. The two automakers are developing a method to compress hydrogen at ultra-low temperatures to increase fuel storage volume. Jaguar electric vehicle: Another luxury electric car may be coming out soon. Jaguar plans to launch a battery electric model called E-Pace, which will probably be a variant of the new Jaguar F-Pace SUV. Light carbon fiber and lightweight aluminum, and an aerodynamic shape, should help enhance the range it can travel on a full charge. The Jaguar E-Pace will use at least two electric motors, one or more for each axle for an all-wheel drive system. Autonomous EV from Nissan: The Nissan concept car, IDS, mentioned in the Tokyo Motor Show coverage above, is being designed to be driven autonomously. The Intelligent Driving System (IDS) can be self-driven, and with its 60 kWh battery pack, will be able to go 200 miles between charges. CEO Carlos Ghosn says that it’s being designed to learn the habits of its owners to modify the way it drives, including recommending restaurants to stop at for meals. Ghosn thinks it would be ideal for crowded urban environments – and would “compensate for human error which causes more than 90% of accidents,” he said. Carsharing will grow six-fold: Navigant Research estimates carsharing will grow six times by 2024 – from $1.1 billion this year to $6.5 billion in global revenue by 2024. While it’s been around for about 15 years now, it’s expected to mushroom in growth due to the popularity of one-way carsharing services; the adoption of electric vehicles in carsharing fleets is growing as carmakers help promote the technology, and this is also helping growth in carsharing usage. Those living in crowded cities appreciate having more options for multi-modal on-demand mobility, the study says. Self-driving car research: A self-driving car study done by the University of Michigan’s Transportation Research Institute found that crash rates in driverless cars were higher than conventional, human-driven vehicles; but the self-driving cars were not at fault and the severity of the crashes were lower than for conventional vehicles. The study conducted a preliminary analysis of the cumulative on-road safety record in 2013 of self-driving vehicles for three of the 10 companies that are currently approved for such vehicle testing in California (Google, Delphi, and Audi). Prius owners holding cars for long periods: Concern over the reliability of hybrids like the popular Toyota Prius is finding more good news. A study done by iSeeCars via Wards Auto found that the Prius is No. 2 on the list of longest-owned vehicles with 28.5% of original Prius owners keeping their cars for 10 years. The Honda CR-V crossover was No. 1 on the list, with 28.6% of owners keeping these vehicles for 10 years. “There are a rather large contingent of Toyota Prius owners who are happily touting the fact that their cars have logged 100,000 miles or more,” said iSeeCars CEO Phong Ly. BYD sees strong performance results: Chinese automaker BYD has been seeing stronger sales and financial results this year – net profit for the third quarter totaled 1.49 billion yuan (about $236 million), up from 28.2 million yuan a year earlier. BYD’s sales of plug-in hybrids and electric cars soared 220% year-over-year in September to 6,013 vehicles. The Tang SUV, BYD’s third plug-in hybrid passenger vehicle, accounted for nearly half the total with 3,044 sold. The Qin plug-in hybrid saw 2,115 sold in September. Generous government subsidies and a popular new model (Tang) helped sales increase.